The rather dull WHQL release is backed by a Hotfix release that comes with a lot more outstanding issues. That could also be because I had an nVidia card in there somewhere, but I had my HD for quite some time with no issues. I’ve had a few driver issues over the years, but nothing major and probably only something a person that scrutinises like I do or more would notice. 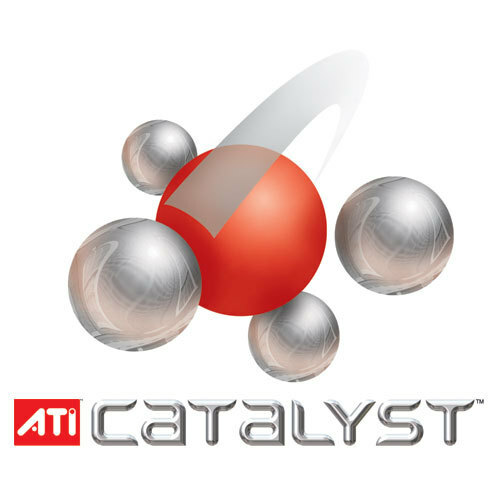 : It’s not even 15th of the cafalyst, and AMD already released its monthly update of the Catalyst driver suite, which is normally reserved for the last week of the month. Specially these last years or so. Im digging the I’ll try reinstalling it to see if it solves the problem. In the past I’ve had perfectly fine working older drivers, then moved to newer ones and had issues. I think it just made things worse. But if it is working well for you, don’t fix what isn’t broken. This is New V.
The hotfix did not help with Brink at all. Although after saying this i hope i don’t start getting the corrupt cursor again now cagalyst have updated: Had to do Sunday, May 9th Got an bsod while updating to Yep, that’s how I roll. HydraGrid feature found in HydraVision is now aware of custom user-created Bezels. But to be honest, I wouldn’t be bothered installing these if I wasn’t doing a complete re-install of Windows later this week. I’ll use the latest WHQL drivers or particularly enticing hotfix drivers when Hottix do a clean install, and only update when a particularly enticing update comes along. Any easy way to roll back? Before I knew of the Meh, I’ll stick with So far not a single issue and a nice smooth install. I’ll be installing the hotfix as I should be receiving Brink on Friday. Speaking of updating AMD display drivers, when I did decide to do Anyone try the Hotfix with brink? Not that I’m complaining – the more regular the better. There’s now also a “Automatic Grid” option that aligns to the user defined Eyefinity display layout. What works well for one might not work well for another. I know at times AMD drivers have sucked but for so long now i have had no driver issues, hell i don’t even remember the last time a saw a corrupt cursor in eyefinity, are the drivers getting better or am i just very lucky? It’s very nice to see them plugging away with updates, but they do it because there are so many different hardware configurations out there. Actually doing some research others claim the Hotfix reduced performance as well I only installed So now I try to just stick with what works, if problems arise, I’ll try newer drivers.